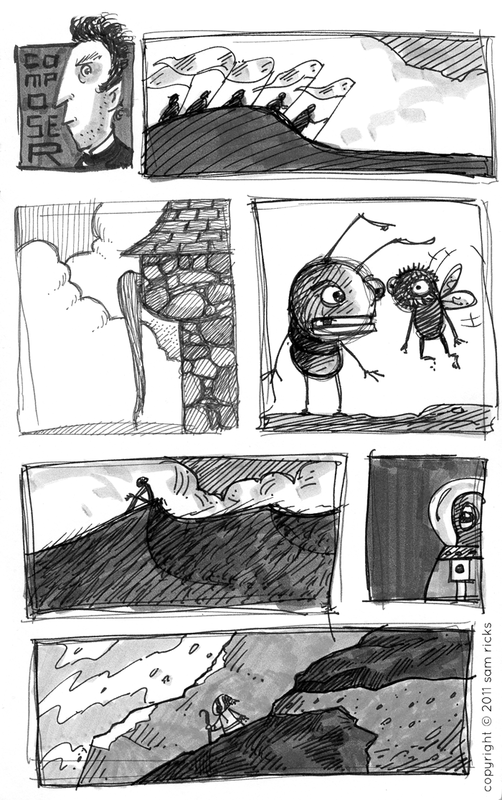 Some sketchbook madness from a little less than a year ago. I like the little Peruvian dude on the bottom. I like how you sketch in boxes. And how the alien dude is walking out (in?) of his.